Complaints had surfaced in a report by The New Paper on Tuesday (July 26), about increasingly sexualised activities at recent NUS orientation camps. 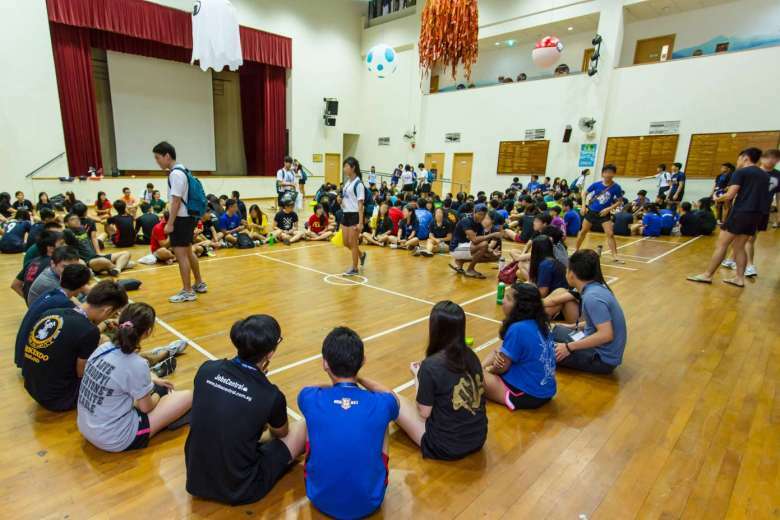 NUS said in a statement on Friday (July 29) that all student-organised team-building activities for freshmen are suspended "with immediate effect" until further notice. This was after it received information about unauthorised and unsupervised freshmen activities, despite having issued earlier instructions on this matter. It also confirmed that a video circulating online of people getting dunked in a pond, was a residential activity that took place in Sheares Hall on Wednesday (July 27). "We are deeply disappointed that some of our students have flouted the rules and behaved in an unacceptable manner in organising freshmen activities." It said that those found responsible will be brought before the University's Board of Discipline. Glad that seniors' ragging and harassment of juniors during O-week have been a thing of past for University of Malaya (UM) since quite a number of years ago. Certain faculty-based o-week like Medic faculty's is currently the most notorious o-week at UM. In this age of high social media proficiency, if you still organize freshmen activities that are deemed inappropriate, you will get caught sooner or later. Why risk facing disciplinary actions or even suspension for the sake of making fun of other freshies? We need seniors to be good role models for juniors instead of being abusers.